This MGN442 Self Leadership Assignment Help will cover the critical analysis of the opinion of the various studies and conclusion made by the different writers. In this literature review subject under consideration is Self-Leadership. Self-Leadership enables a person to utilize his or her ability to increase potential so that personal and other goals can be achieved by it. It enables a person to control their behavior and emotions. Self-leadership helps to develop abilities to make right decisions personally and professionally when there is no one to guide you. In this review, 10 different studies by different writers have been taken and each theory will be critically analyzed. The main objective of the current literature review is to critically analyze a number of previously published studies in the field of self-leadership. The reason for the literature review is to ensure that we have a complete knowledge about the subject under review. The purpose of the current literature review is to evaluate and analyze recent studies to demonstrate the currency of the literature and areas for future research. Self-leadership is an ability of a person to motivate the individual with an objective to achieve objectives set by the individual. It can be achieved with proper observation and management of oneself. Self-achievement can be a major tool in achieving personal goals for a person. Hanging Zang and Maolin Ye of School of Management, Jinan University, China has focused on the importance of people with leadership quality in an organization. In a competitive environment, there is need of people with self-leadership quality to compete with other organizations. 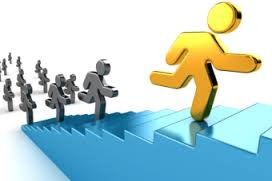 Self-leadership helps people in an organization to take initiatives which help organization for timely achievement of objectives with efficiency and effectiveness. They also included examples showing how leaders of different organizations with self-leadership qualities can contribute towards the growth of the organization and help the organization to change according to a dynamic environment like CEO of organizations in financial crisis only take nominal remunerations so that company can overcome difficult situations. Different types of leadership like Servant Leadership, Charismatic Leadership, Transformational Leadership, etc. has been compared with Self Leadership. Authors of this paper have concluded that self-leadership is a new type of leadership management and it is getting more and more attention. Research in this field is limited and there is a need of systematic research. It has been analyzed from above a comparison that as the concept of Self Leadership is new and there is a scope for further evaluation (Zhang & Ye, 2016). View of Jordan Rex Jenson of Fielding Graduate University states the importance of Self Leadership in the life of oneself and people around them. One can take charge of their own life only if they adopt Self Leadership. Self-Leadership can improve the quality of life it is the factor which separates human from other species on earth. The main objective of this research is to find a solution towards many problems faced by self-leaders and help other people to face challenges in their own life by adopting self-leadership. Self-Leadership is one of the most important tools to be successful in the 21st century. It is analyzed that one of the biggest problems faced is that children’s need to know the importance and advantages of the concept of Self Leadership at an initial level in their life so that they can adopt it from beginning. Adults in their life should teach them about gain from Self Leadership and also try to be a role model for them. In today’s world, we are having many economic and social problems and it can be solved only with help of world leaders with Self Leadership qualities (JENSEN, 2013). According to the views of Choi Sang Long, Mohd Norfian Alifiah, Tan Owee Kowang of University Technology, Malaysia employees with high self-regulating power and job satisfaction can perform their jobs assignments very successfully. For determining the relationship between self-leadership and job satisfaction different previous researches of employees from different fields were taken. 180 employees from an education organisation in Isfahan were selected to determine the level of job satisfaction and its impact on self-leadership. In another research, 814 employees from first line, middle line and senior managers from a hospital in Iran. In this research it was evaluated that job satisfaction is directly related to type of leadership that management of a company adopt. Employees who are involved in the organization must know about their jobs which provide help in decision making directly or indirectly because the decision is related to their job in the organization. Furthermore, more equality may inspire commitment from team members. There are different aspects of leadership which play an important role in the management of the team and its performance in the organization. Therefore, it is crucial for analyzing the behavior of a person so as to identify about the personality of a person because the personality of a person sharps the work related to it. For self-leadership, the author focuses on the personality of a person. Various aspects of personality like conscientiousness, behaviour, work ethics, extraversion and introversion plays a very important role in developing self-leadership qualities. The 21st century is full of competition in every sector so for achieving an advantage over the competitor’s self-leadership strategies is very important (Long, et. al., 2015). Lynn Eliason says that there is a change in leadership and characterized Successful leadership with four main types. Author conducted a survey with 25 participants out of which 17 responded. This survey includes various questions like what is your position or role at your work place, what type of innovative work do you perform, do you consider yourself an entrepreneur, how much self-leadership training have you received at work, etc. Strong Man– Strong man leadership believes that a team can only work when they are forced and a good command is there on them. Transactional- Transactional leader is a leader who believes that for enhancing the morale of the most of the employees can be done by rewarding and providing them benefits. This leader is more adaptable in the open environment. Visionary Hero - it is a leader who focuses on making a motivating vision for the organization so that goals of the Organization are easily fulfilled. 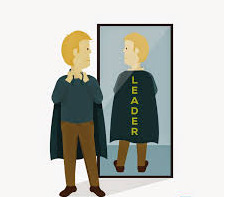 Super leader- Super leader is the person who focuses on bringing Self Leadership Qualities in other people. Among these leaders, the author emphasis on self-leadership and leader should encourage on developing self-leadership. This leader focuses on bringing self-leadership among the leaders. Leaders need to encourage self-leadership among the followers (Eliason, 2013). Research of Ute Tat and Natascha-Bank of Management Centre Innsbruck is based on the effect of neuroscience on developing skills required for self-leadership. This paper has shown the effects of body and mind to develop required competence for Self-leadership. By having a command over mind and body one can control their behavior which will lead to the achievement of Self Leadership and motivation. It can be evaluated from this paper that Self Leadership qualities cannot be developed only with formal learning. There are various other methods which can be very helpful in developing these skills. Main objective of this research was to find different innovative approaches to develop self-leadership qualities. For this purpose they integrated a model for self-leadership and evaluate these methods for 3 years. One of these methods is concentration, with the help of concentration exercises one can work efficiently in the dynamic and stressful environment. Self-Discipline will also be useful in developing a patience level which is one of the important qualities in a leader. Good communication skills are very important characteristic of a Self-Leader, so one should develop these skills. Other such qualities are self-awareness, creating a positive environment, flexibility, and balance, empathy, relaxation etc. (Tat & Zeitel-Bank, 2013). Abraham Carmeli, Ravit Meitar and Jacob Weisberg of Bar-Ilan University, Israel have tried to establish a relationship between self-leadership qualities and performance of a person at work. In their research, they found that these 2 factors are directly proportionate to each other. Many organizations try to increase the self-leadership qualities with various tools like behavioral focused strategies, reward strategies and others so that their performance at work can be increased. In this study people from both private as well as public sector are taken under study. The initial study was conducted on 100 employees. It was analyzed that people with Self Leadership qualities possess innovative thinking and they contribute more to the organization as compared to other. These people are also rewarded for their contribution to the organization with higher salary incentives and other benefits. There are also some limitations of this study as researchers have only taken effect of employee’s leadership quality as a group. They have failed to evaluate the individual impact of each and every employee on the performance of the organization. A wider sample of an employee from the public and private sector should have been taken to get accurate results (Meitar, et. al., 2006). Yutthana Chaijukal lecturer at Srinakharinwirot University, Bangkok, Thailand has evaluated the effect of leadership quality in employees on the Private sector of Thailand. We can analyze that to increase the quality and reduce the cost of goods and services provided by private organizations specific qualities in the workforce is required. Self-Leadership in employees can be that quality which can give a competitive edge to the organization from others. It can be said that there is a major impact of job satisfaction on the financial results of the company. If an employee is satisfied with the work done by an individual in an organization then it will give its 100% efforts which will result in profits for the company. Various business research has shown that people with high self-esteem and leadership qualities can perform their jobs very efficiently. So it could be said that self-leadership leads to job satisfaction of employee which results in good financial results to companies. This research has taken 577 employees as a sample to determine the effect of leadership qualities on the performance of the private organization. One of the limitations of their study is that they have not taken public sector into consideration which has a huge impact on the economy of the country (Chaijukul, 2010). In a paper issued by Oracle Corporation, oracle has shown its concern regarding various leadership scandals and loss of confidence in leadership qualities of management in market leading companies. To face these problems company should develop a leadership development program. This program should cover given seven steps with the help of which leadership personnel can be developed in an organization. A good leader can easily convert a weak business into success but a bad leader can ruin even a successful plan. Organizations are not able to find work force with self-leadership qualities so they have to develop a program through which such qualities can be given to employees of the organization. The first step for an organization is to determine the type of leadership which are required in the organization. Then to find current leaders and others employees who have the potential to become leaders of the organization. Next step for the organization would be to identify lack in current leaders and potential leaders according to the requirement of the organization. To eliminate this gap proper plans and programs should be prepared by the organization. In this plan, goals and objective for these leaders should be defined. Proper monetary and other incentives should be given to these leaders so that they do not leave the company (Oracle, 2012). Ameneh Malmir and Fariba Azizzadeh of Islamic Azad University, Iran have focused on the importance of Self-leadership qualities in the 21st century in one’s personal life and also in a business environment. This study has described 4 ways through which a person can develop his or her self-leadership qualities. First is self-awareness of personal values. Strengths and weaknesses of a person can be accurately evaluated by oneself only. By evaluation of personal value, a person can work on its weakness and convert them into strengths. Second is Building a personal perspective. One should be able to define what an individual wants to achieve in future so that its confidence level can be boosted. Third is learning the importance of workplace environment. Self-leadership is most important in a business environment so it is very important to be aware of the working dynamics of the workplace. Fourth is self-management (Malmir & Azizzadeh, 2013). According to Kristina Hauschildt and Udo Konradt of Institute of Psychology, Christian-Albrechts-University Self Leadership is very important for the proper and effective working of a team. In this theory, the first review is done on Self Leadership of individuals of a team and then the effect of such leadership qualities are evaluated on the working of their team. It has been suggested that with proper directing of self-leadership qualities one can achieve its own goals as well as goals of the team. While preparing the plans and strategies for a team the leaders of the team must include objectives of the team as well as individual goals of members of the team. The framework adopted by the researchers has not considered all the possible aspects of a team and there is a need to further diversified study in relation to identifying the role of Self-Leadership in the success of a team (Hauschildt & Konradt, 2013; 2012). We have discussed various theories on Self Leadership and each theory has presented its own research procedure, ideology, and concepts. All the above theories have been critically analyzed and any limitations are also given with proper explanations. All the theories are interconnected and shown the importance of Self Leadership in personal life as well as evaluation of humankind. The most important aspect of Self-Leadership can be seen in the business environment as it is very important for economic growth of an organization. We can conclude from all the above studies that self-leadership is important for the growth of organisation as well as growth of an individual. Self-leadership is very important for managers at top level as they have very little supervision over them. These managers should have clarity in their own vision and also guide other people for achievement of goals. For people at lower levels, people cannot be totally dependent on management. 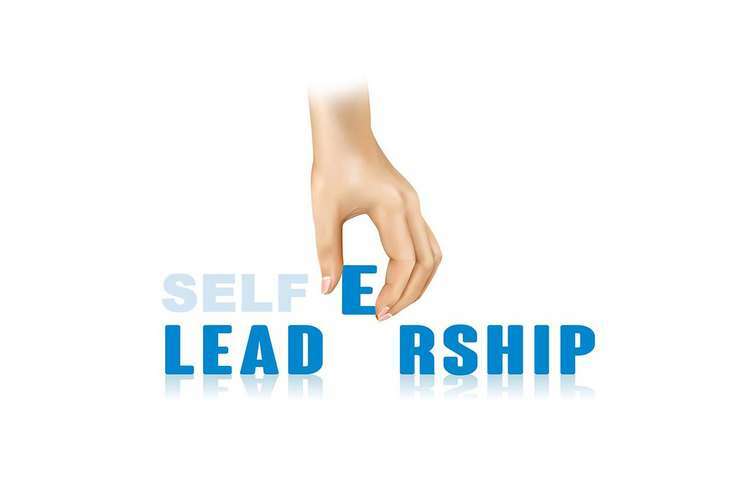 For their own development and growth, they should adopt the concept of self-leadership. 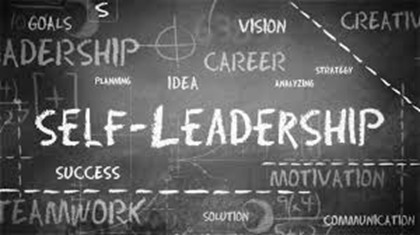 First theory on Self Leadership was published in 1980’s and various further theories have been published after that. Still, this concept is new and not utilized appropriately by users. Hence there is a further requirement of study in this field. Chaijukul, Y. 2010, “An Examination of Self-Leadership Performance Mechanism Model in Thai Private Organization”, The Journal of Behavioral Science, Vol. 5, No.1, 15-32. Eliason, L. 2013, “Innovation and Self-Leadership: The Effects of Self-Leadership Knowledge on the Innovation Landscape”, College of Professional Studies Professional Projects, Paper 56. Hauschildt, K & Konradt, U. 2013; 2012, “A Conceptual Framework of Self-leadership in Teams”, Institute of Psychology,. Jensen, J. R. 2013, “Self-Action Leadership: An Autoethnographic Analysis of Self-Leadership Through Action Research In Support Of A Pedagogy Of Personal Leadership”, Doctor Of Education,. Long, C. S., Alifiah, M. N., Kowang, T. O. & Ching, C. W. 2015, “The Relationship between Self-Leadership, Personality and Job Satisfaction: A Review”, Journal of Sustainable Development, Vol. 8, No. 1.